and so many others . Thanks everyone ! In The " Real World " Vampires Do Not Sparkle. They Burn In the Sun ! I can Vouch for BK as well , I have nothing but praise...... 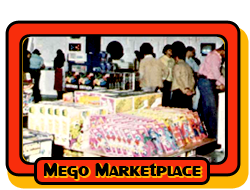 Looking forward to ordering some more Mego heads soon ! & with a Name Like Jason,.. what can't you like ? Wow, so many familiar names! I've been away way too long!! LOL ! is that not the truth ??? If you can't trust a Jason who can ya ? I cant get away from that picture!!! Last edited by piecemaker; Feb 13, '12 at 3:13 PM. and with that add Troy to the list!!!! Thanks so much for the Red Skull jiggler! Last edited by Wise4671; Feb 19, '13 at 5:47 PM.